The court on Thursday directed the Pakistan Election Commision to allow the registration of MML. The poll conducting body had been refusing to register the Mumbai terror attack mastermind’s political party for contesting 2018 Pakistan general elections. 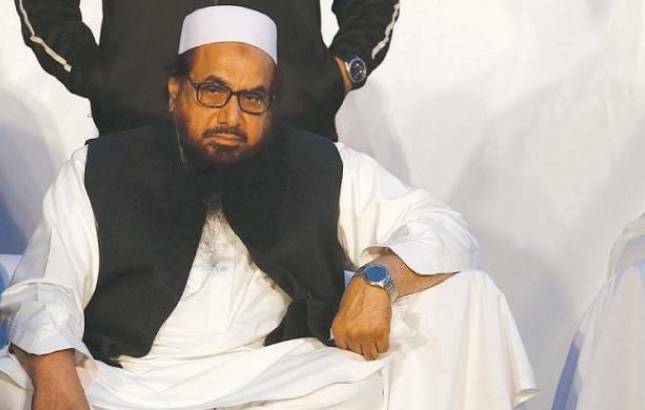 Islamabad High Court on Thursday paves the way for Mumbai terror attack mastermind and banned terrorist group Lashkar-e-Taiba founder member Hafiz Saeed and members of its newly formed political party Milli Muslim League (MML) to contest election in the upcoming 2018 general elections. The court directed the Pakistan Election Commision to allow the registration of MML. The poll conducting body had been refusing to register the Mumbai terror attack mastermind’s political party for contesting 2018 Pakistan general elections. August last year, Saeed had launched MML and announced to contest Pakistan assembly elections. He opened the party's first office in former Prime Minister Nawaz Sharif’s parliamentary constituency. The Pakistan Election Commission last year had cancelled the application for registering MML as political party after the country’s Interior Ministry had written to the ECP and told it not to register any banned terror outfit having links to the MML. MML is a sub-branch of the Lashkar-e-Taiba (LET) and the Jamaat-ud-Dawa (JUD), both founded by Hafiz saeed. The two groups have been spearheading terror attack in India. LeT has carried out attack on the Indian Parliament in 2008 and Mumbai attack in 2008, which had claimed lives of at least 150 people and injured another 250 persons.